Under IUPAC nomenclature aldehydes are named by taking the name of the longest acyclic hydrocarbon chain in the molecule, dropping the terminal "e" (if present), and adding the suffix "al", "aldehyde" or "carbaldehyde". In some cases the prefix "formyl" may be used. Two aldehydes are indicated by the suffix "dial". In addition, a number of trivial (traditional) names are still recognized. For detailed naming rules see Further Reading below. Aldehydes and ketones are widely used industrial chemicals both as solvents and as chemical intermediates (ingredients for other chemicals). Most can be classified as volatile organic compounds meaning that their vapors may be easily inhaled or ignited. Many ketones and aldehydes are also flammable as liquids and solids. Training materials, handbooks, posters and videos at Safety Emporium can help your employees protect themselves from hazards such as formaldehyde. Important note: formaldehyde is an industrially important aldehyde that is used on the billion ton scale. Glutaraldehyde is a "cold sterilent" used widely in the health care industry. Both are potent sensitizers. Exposure to either of these can make you hypersensitive to contact with other chemicals and carries definite health risks. Special rules and regulations have been developed to minimize formaldehyde exposure; see Further Reading below for more information. Several ketones and aldehydes have been classified as known or likely carcinogens. For example, formaldehyde and acetaldehyde are known carcinogens. Studies are still underway on glutaraldehyde but it appears to have a much lower risk (if any) of carcinogenicity than formaldehyde. Acetone has not been reported to cause cancer. 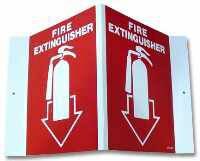 Get your NFPA rating charts and other safety accessories at Safety Emporium. 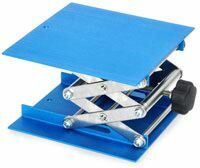 As incompatible materials. Both are rather reactive classes of chemicals, and undergo a wide range of desirable (and sometimes undesirable) reactions. Ketones and aldehydes are particularly incompatible with concentrated nitric and sulfuric acid mixtures. In discussion of the solubility of the material in various solvents. The polar nature (uneven distribution of electron density) of ketones creates intermolecular alignment between other polar molecules and increases their solubility in other polar materials. Smaller chain ketones and aldehydes can have appreciable solubility in water. Ketones may also be referenced in terms of medical condition called ketosis in which ketones build up in the body. The desirable chemical reactivity properties of aldehydes become undesirable when these chemicals enter your body, so be sure to read the label and MSDS for any ketone or aldehyde-containing materials before use. Take appropriate precautions when working with them - engineering controls such as fume hoods and personal protective equipment (PPE) such as gloves and respirators are a very good idea. 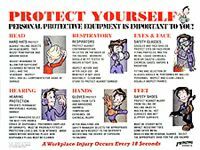 Safety Emporium carries all kinds of signs and equipment to help your employees deal with hazardous chemicals in their workplace. 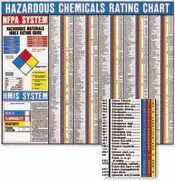 OSHA has a good web site on formaldehyde, including links to 29 CFR 1910.1048, the Formaldehyde Standard. It also has tips for employees and employers. OSHA also offers tips on the use of glutaraldehyde. Health Effects of Acetone at the Canadian Centre for Occupational Health & Safety. William Reusch at Michigan State has a wonderfully concise overview of ketones and aldehydes that starts with nomenclature and then summarizes their chemical reactivity. IUPAC nomenclature for aldehydes, ketones and their derivatives thanks to ACD Labs. Study Organic Chemistry explains how to study and understand organic chemistry. See also: alcohol, carboxylic acid, chemical formula, carbon monoxide, ketosis, VOC.